That’s how Arduino came into my home just a couple of days ago, bringing with it a lot of stuff and claiming for some new clothes. 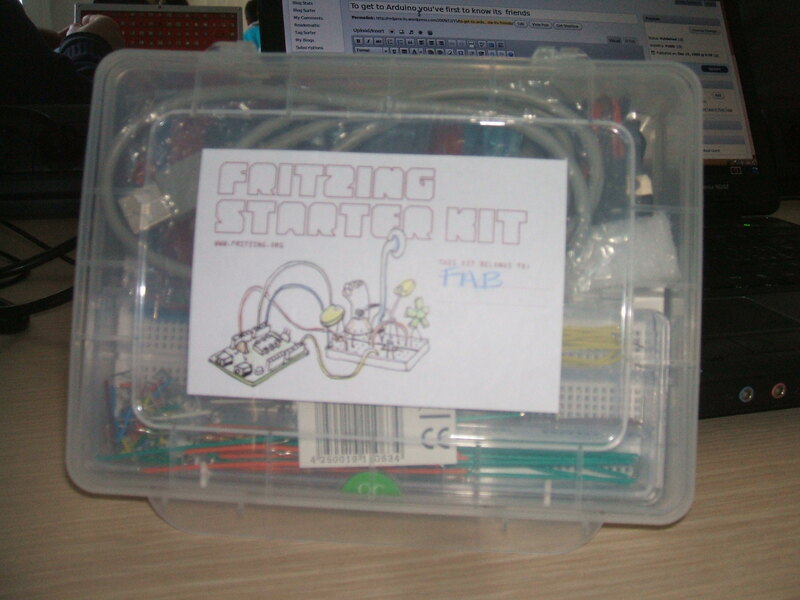 This small case is very catchy and makes you want start immediately. But once you opened it you’re in front of a different scenario, your first thought is to assemble all this pieces of plastic scattered everywhere, trying to figure out what all this mess is about. Let’s say that a real blonde first put her name on the case ( a beauty case for her), so everybody will know that Arduino is her man. As said before Arduino is a spoiled child and it wants to play only with his friends. I mentioned Processing but that is just a name on the long list. Let’s start to say that for running Arduino you first have to download the software at http://arduino.cc/en/Main/Software-you can also find that directory from the main page at http://arduino.cc– as you’ll see there’s an Arduino version for all the Operating Systems including Linux. For Linux Users: you have to check out if your settings are right, see you if the repository Multiverse is running and then install the packages sun-java%-jre, gcc-avr and avr-libc. Then from shell write sudo update-alternatives –config java. 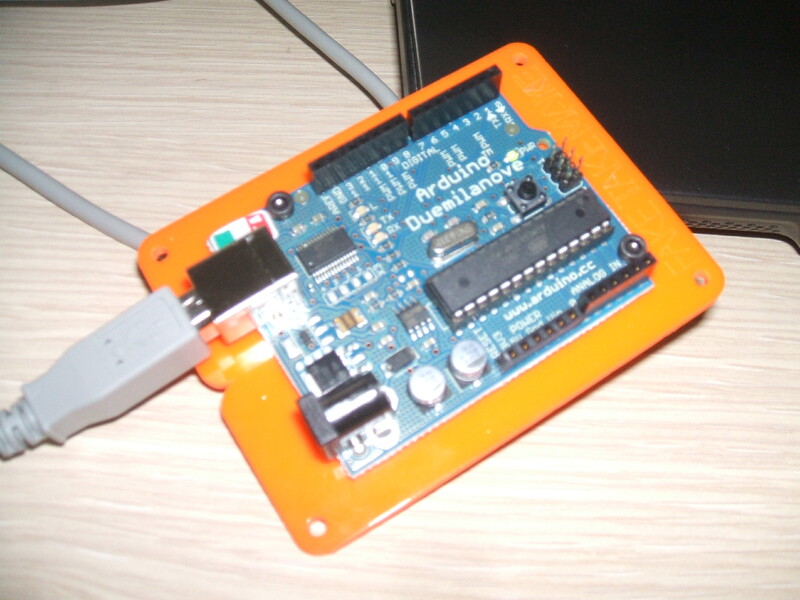 Download Arduino, extract the folder and keep on using the shell enter in the directory (i.e. 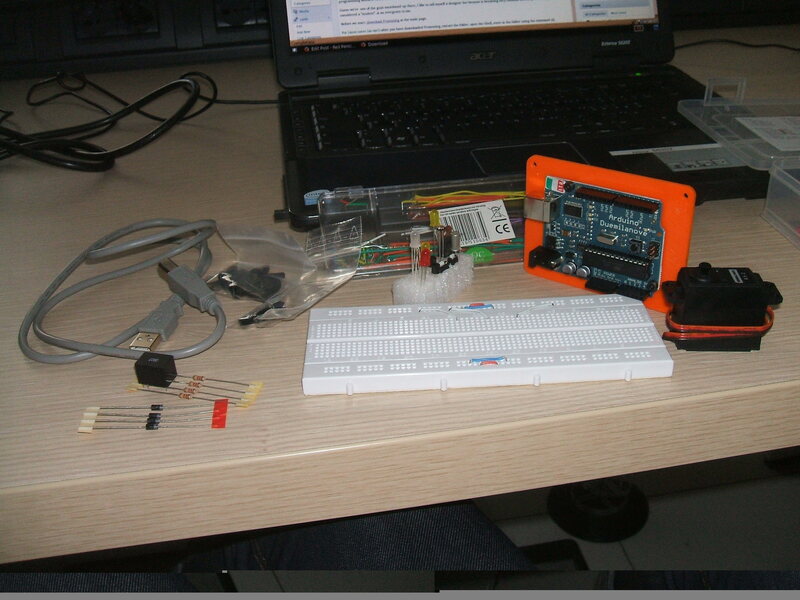 cd Desktop) then in the folder (cd arduino-0017) and then launch the program with: sh Arduino. What you’ll see is an ambient based on java very similar to Processing. 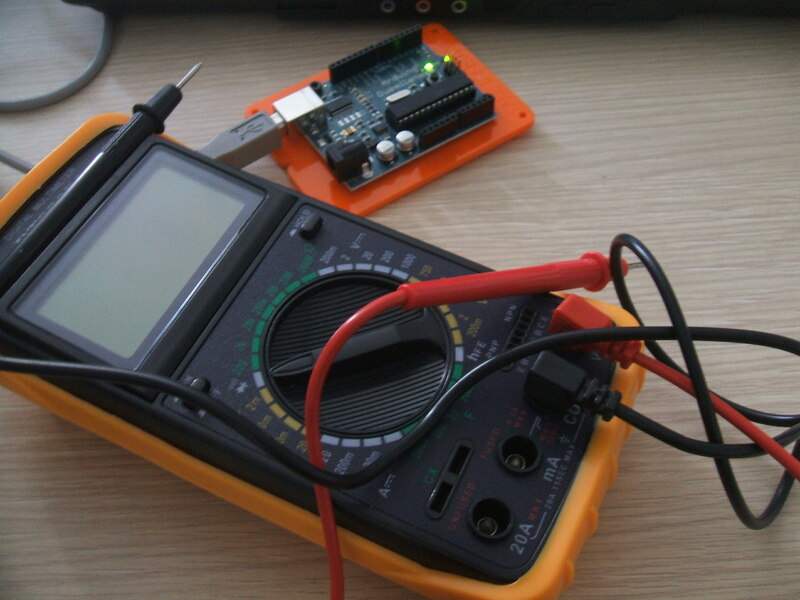 That is where you write all the codes to communicate with Arduino,REMEMBER TO TICK THE BOX IN TOOL->SERIAL BOX, and plug Arduino by its USB. 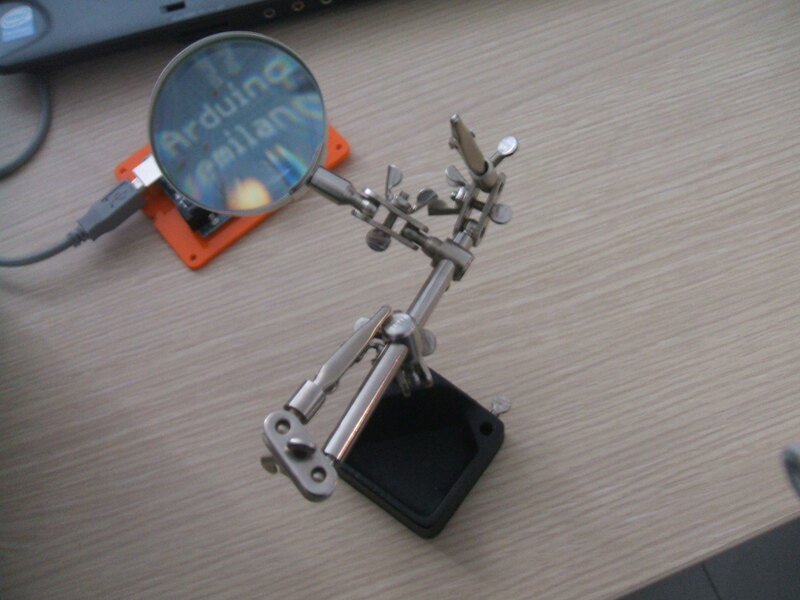 Arduino’s language is very similar to Processing so I suggest you to being familiar with it to better afford Arduino . 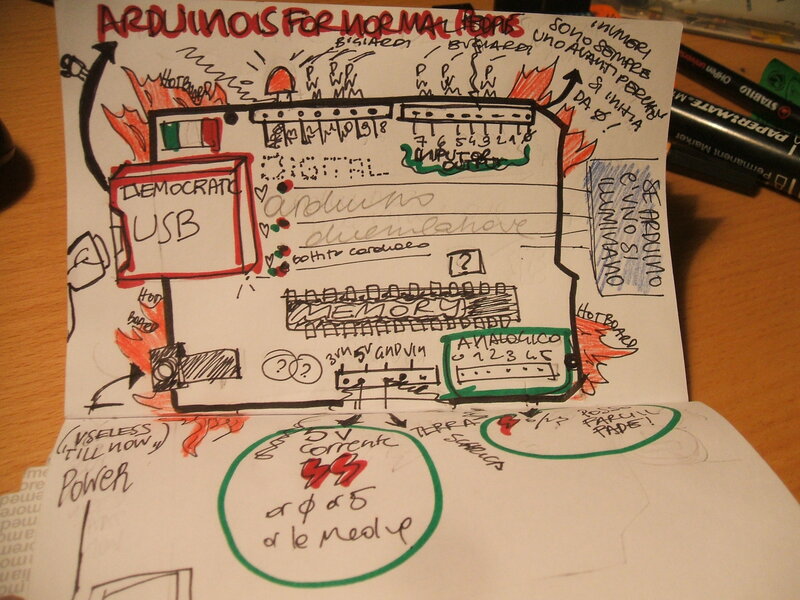 http://www.scribd.com/doc/7623505/Arduino-Notebook-v1 Arduino Notebook form Scribd. 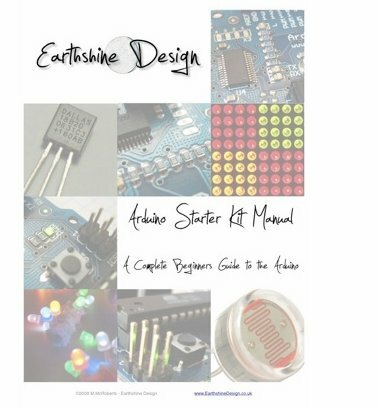 or if you’re a paper nostalgic you can have a look at the book: Getting Started With Arduino by Massimo Banzi. Here we are in this new adventure. First of all i want to explain the title of the category. Arduino for blondes. I’ve nothing against blondes, some of my friends are blondes and I’ve learned to live with their disease :P. The things you’re going to read in this part of the blog are just ‘blondes standard’ just because are written like a blonde would do. I’m not blonde, but i feel like my approach with Arduino is absolutely blonde, and i hope what you’re going to read will help you to understand more of this still unexplored world. This is technology as I see it. Excuse my poor slang and have a laugh to all my unusual explanations and reality based mistakes. So to me is like a blanc paper to fill with your ideas to communicate with everybody around you but before you can use it in an efficent way you have to learn the native language. 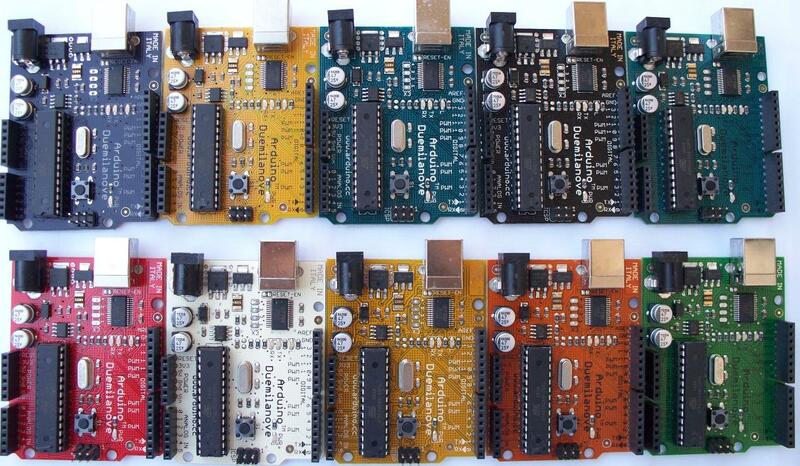 It’s not easy, but the future is open and at the moment Arduino is the future. I’m not going to bore you, so I’m not going to explain in details Arduino’s features and how it works, for this kind of explanations I prefer address you to these rich and influential articles: from Wired, Make:, Arduino Official Webpage and in a real blonde style we cannot forget Wikipedia, the official blondes’ resource Wikipedia Arduino. Make: is my favourite because also you can find there videos and guides made by the users to use Arduino, I don’t know the color of their hair. If Paris Hilton would read one of those articles mentioned before, probably she would spend interminable minutes wondering about what a Micro-controller or a single board micro-controller is (well i did it too ..Paris!) you can have a look at the links, as always from Wikipedia. As in real life I’m good with pronunciation but I’m a disaster with the grammar…so..I’m going to fail a lot and i will try to use my hand at the best to make things more clear. For all the other incomprehensible terminology, be patient, we’ll have time step by step to explain everything. 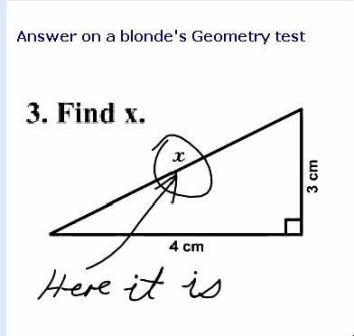 From now to the next days our goal is finding the X, and draw an arrow and a circle will not be enough.